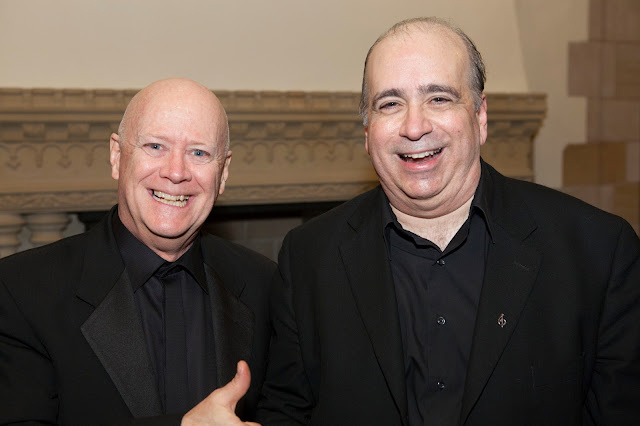 Russo's Third Symphony will be be given its world premiere performance by Orchestra New England at their 7:30pm concert on Saturday, March 9, 2019 at Battell Chapel in New Haven, Connecticut. This concert will celebrate the 45th birthday of Orchestra New England. (Russo will be playing bass on this concert). If you would like to learn more about this concert and acquire tickets to this concert you may do so by clicking here. If you would like to listen to the computer generated sound files for the four movements of Russo's Third Symphony you may do so by clicking here. The symphony is scored for 2 flutes, 2 oboes, 2 clarinets, 2 bassoons, 2 French horns, 2 trumpets, 2 trombones, percussion (one player) and strings. It runs about 39 minutes. Hope to see you at the performance on March 9, 2019! UPDATE: Russo's "Remembrance" music (dedicated to Anne Mauro) and his Third Symphony were given superb premiere performances by Orchestra New England on the evening of March 9, 2019. Both the performing musicians and the audience enjoyed this new music -- the Orchestra New England received a standing ovation after its first performance of Russo's Third Symphony. Russo finished work on his IN MEMORIAM for Orchestra. This 6:30 minute tonal work is scored for 2 flutes, 2 oboes, 2 clarinets, 2 bassoons, 3 French horns, 3 trumpets, 2 trombones, 1 bass trombone, 1 tuba, 3 percussionists (timpani, tubular bell, triangle, bass drum, snare drum, tam-tam) and strings. In this music he expresses the grief and sadness associated with death. If you would like to listen to the computer generated sound file of this music you may do so by clicking here. Russo was commissioned by flutist Helene Rosenblatt to compose a signature piece for the newly form Connecticut Flute Orchestra -- this two movement work is dedicated to this fine ensemble. This flute orchestra music was completed in June 2018. It consists of two tonal movements: one depicting the Connecticut State tree (Mountain-laurel) and one depicting the Connecticut State bird (American Robin). The world premiere of this music will happen on Sunday, September 16, 2018 at 2 PM at Crowell Concert Hall, Wesleyan University, Middletown, CT . 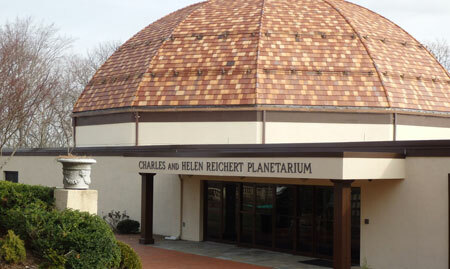 Directions to the concert location are here: http://www.wesleyan.edu/cfa/visit/crowellconcerthall-directions.html . This concert is free and open to the public. If you would like to listen to the computer generated sound files of each movement you may do so by clicking here. Hope to see you at the concert on September 16, 2018! New work for Strings - "Together"
If you would like to listen to the computer generated sound file of this music you may do so by clicking here. On Sunday, May 27th at 5pm Russo's "Forever Young" Overture will be given its first performance by Orchestra New England, James Sinclair conductor at Lyman Auditorium on the campus of Southern Connecticut State University - 501 Crescent Street, New Haven, CT 06515. This music is on the program of this Memorial Day Concert which the City of New Haven sponsors each year. The concert is free and open to the public. "In June 2017 I watched a documentary about the June 6, 1944 D-Day landing at Normandy. In the course of the documentary, while they scanned the many white crosses of the Normandy cemetery, a general said “We consider the many young soldiers who made the ultimate sacrifice that day as ‘Forever Young’” That heartfelt comment inspired the composing of my Forever Young Overture during the summer of 2017 – in the music I try to express the strength and courage those young soldiers had and their sacrifice for freedom on that fateful day. The fact that my father, George Russo, landed in Normandy later that June added to the personal nature of the music." The name of the concert is “Friendship Concert” – since I often compose music for friends and also because each performer is one of my good friends….most for many, many years. If you would like to attend this concert you need to register with the Wilton Library to do so – the hall holds 150 people – so, by registering, the library will assign you a place in the hall. …..if you would like to attend this concert it is important to register….seating is limited for this performance…. I hope to see you at this performance of my music! New Solo Flute Piece Completed "Joyful"
Russo completed work on his new solo flute piece: JOYFUL -- a 2:35 minute one movement tonal piece. If you would like to listen to the computer generated sound file of this music you may do so by clicking here. Russo completed work on his new composition "Forever Young" - this is an orchestra overture dedicated to the military young men and women who made the ultimate sacrifice fighting for our freedom. This 7 minute overture is score for 2 flutes, 2 oboes, 2 clarinets, 2 bassoons, 2 French horns, 2 trumpets, 2 trombones, 1 bass trombone, 1 tuba, timpani, 2 percussion and strings. If you would like to listen to a computer generated sound file of this music you may do so by clicking here. Russo has completed work on his new Woodwind Quintet -- he composed this three movement work for his friends in the Harmonia V Quintet -- The musicians in this ensemble are: Jennifer Berman, flute; Janet Rosen, oboe; Jim Forgey, clarinet; Robert Hoyle, French horn; Sue Cross, bassoon. If you would like to listen to the computer generated sound files for each of its three movements you may do so by clicking here. Russo completed work on his new trio "Nature Speaks" -- this one movement work is scored for alto recorder, violin and cello -- though it may be performed with different instrumentation. It depicts in sound difficulties and beauties of nature. If you would like to listen to the computer generated sound file of this music you may do so by clicking here. (Note: the alto recorder part is a bit loud on this sound file). On Tuesday, May 16th -- at 9:30am and 10:45am -- the third movement of Russo's Flute, Oboe and Strings Concerto will be performed at Lewis Mills High School in Burlington CT. The location address is 26 Lyon Rd, Burlington CT. Russo will be at the performance to talk about his music. Russo was commissioned to compose his Friendship Trio (for flute, clarinet and piano) by the Palisades Virtuosi in August 2016 -- he completed work on this music in September 2016 and the piece was given its first performance in November 2016. If you would like to listen to the computer generated sound files of each of its three movements you may do so by clicking here. 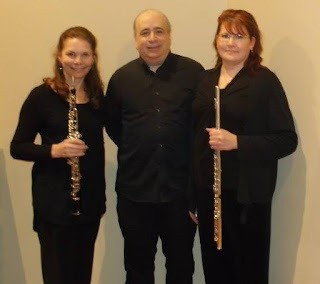 Russo's Trio Festivo -- a 3 movement trio scored for oboe, clarinet, bassoon (with English Horn instead of oboe in the 2nd movement) -- was recovered, revised and is now available. The music was composed in 1982 for the Trio Festivo Ensemble -- the players of this trio were: Nobuo Kitagawa on oboe/English Horn; Andy Grenci on clarinet and Mike Breaux on bassoon. You may listen to the computer generated sound files of each movement by clicking here. At 3pm on Sunday, March 26, 2017 Russo's Concerto for Flute & Oboe will be performed by the Nutmeg Symphony in Bristol CT. If you would like to hear excerpts of each of this piece's three movements you may do so by clicking here. To find out more about this concert (and to acquire tickets) you may click here. The location of the performance is: Bristol Eastern High School, 632 King St., Bristol CT. Note: Russo will be playing bass on this performance. If you would like to view and listen to the video of this performance you may do so by clicking here. Russo recently completed work on "Romanze" - a one movement work for solo flute composed at the request and for his friend Rita D'Arcangelo -- Rita lives and works in Berlin and plans to both record 'Romanze' and give the world premiere performance in Japan in April 2017. If you would like to listen to a computer generated sound file of this music you may do so by clicking here. Russo was commissioned to compose a new trio for the Palisades Virtuosi -- Margaret Swinchoski flute, Donald Mokrynski clarinet and Ron Levy piano. The ensemble will perform the world premiere of this new trio at 8pm on Friday, November 4, 2016 in Fair Lawn, NJ. For more information about this performance - including ticket information and directions to the performance location you may click here. Update: Russo's Trio "Friendship" received a very successful world premiere performance on Friday, November 4th by the Palisades Virtuosi in Fair Lawn NJ. from left to right: flutist Margaret Swinchoski, clarinetist Don Mokrynski, Joseph Russo, pianist Ron Levy. On July 9, 2016 Russo completed work on a one movement tonal work called "New England Portrait". This piece is scored for 1 flute, 1 clarinet, 1 bassoon, 1 piano and strings (...the same instrumentation as Copland's "Appalachian Spring". This programmatic music expresses the feelings of various New England activities throughout one typical day. Here are the activities (in order of appearance in the music): Daybreak, Playtime, Friendships, Playtime Again, Go to Church, Church Hymn, Sunset. This one movement work runs approximately 20 minutes. If you would like to listen to a computer generated sound file of the music you may do so by clicking here. UPDATE: Russo's New England Portrait will be given its world premiere by Orchestra New England at the United Church on the Green in New Haven, Connecticut at 7:30pm on Saturday, February 25, 2017. For more information (including ticket information) you may call Orchestra New England's office (203) 777-4690 and you may find more information by clicking here. (Russo will be playing bass on this performance). Elm City ChamberFest Student Orchestra Performs "Four Pieces for Strings"
On Saturday, July 9, 2016 the student string orchestra of the Elm City Chamber Festival -- a two week chamber music festival in New Haven, Connecticut performed Russo's 2nd movement from his Four Pieces for Strings (Homage to Bach).....Russo attended this very moving and successful performance of his music. If you would like to listen to excerpts of his Four Pieces for Strings you may do so by clicking here. 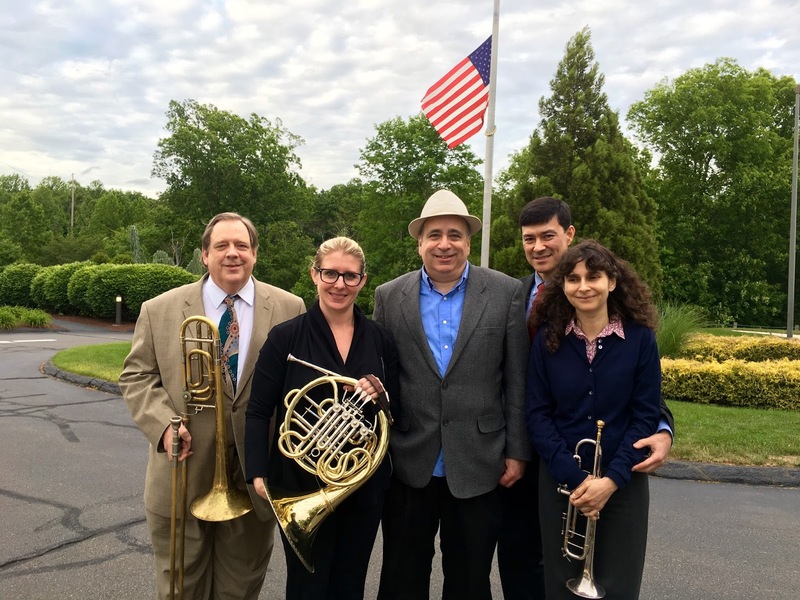 Russo's brass quartet "Evergreen Prelude" was performed again at assisted living Evergreen Woods in Branford CT at 7:30pm on Monday, June 13th. The world premiere of this music was given last June at the same location. The Nutmeg Symphony Brass quartet was: trumpets - Julia Caruk, Andrew Caruk - French Horn: Jaime Thorne - Trombone: Marshall Brown. If you would like to listen to a computer generated sound file of this music you may do so by clicking here. 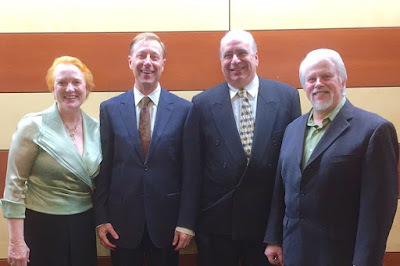 On Sunday, June 12, 2016 Russo's "Psalm 23" for four double basses and tenor was given its world premiere on a concert of coach-bass teacher Susan Powell's Bass Ensemble class at the Hartt School Community Division of the University of Hartford (CT). Russo conducted the ensemble for this performance. Tenor Steve Mitchell was the singer for this performance. If you would like to view the video of the performance you may do so by clicking on the arrow in the picture - you may also enlarge the video by clicking on the small box in the lower right hand corner of the picture once the video begins. To the right: Joe Russo and Susan Powell at the event. Russo completed work on his new work "Wedding Music" in January 2016. The four movements of this work were composed for his friend and former bass student Michael Bertkau. Michael's wedding will be in September 2016. Here are the four movements: Wedding Prelude Music (for the church seating) - it is about 10 minutes long; Wedding Party March - 2 minutes; Bride's Wedding March - 2.5 minutes and Wedding Recessional Music - 4.5 minutes. The total length of this work is about 19 minutes. This piece is score for string quintet - 2 violins, 1 viola, 1 cello and 1 bass. It will be given its world premiere at Michael's wedding in September 2016. If you would like to listen to the computer generated sound files of this music you may do so by clicking here. If you would like to listen to the computer generated sound files of this symphony you may do so by clicking here. Russo's Bass Duo will be performed as part of the Elm City Chamber Festival faculty concert at 7:30pm on Wednesday, July 8th. The location of the performance is Sudler Hall at Harkness on the Yale campus -- Sudler Hall is in the building next to Sprague Hall which is on the corner of Wall & College in New Haven. The bassists performing his Bass Duo are Joseph Russo and Matthew Oster. If you would like to listen to the computer generated sound file of his Bass Duo you may do so by clicking here. Today Russo completed work on his first brass quartet "Evergreen Prelude". 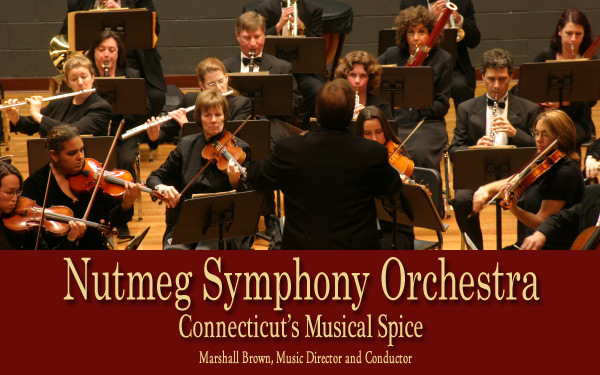 It was composed for the Nutmeg Symphony Orchestra Brass Quartet: trumpeters - Julia Caruk & Andrew Caruk, French hornist - Jaime Thorne and trombonist - Marshall Brown (who is also the conductor of the Nutmeg Symphony Orchestra). This 6 minute tonal work will be given its world premiere at 7:30pm on July 6, 2015 at Evergreen Woods retirement community in North Haven, Connecticut. If you would like to listen to the computer generated sound file of this music you may do so by clicking here. At 7 pm on Tuesday, March 17th Russo's composition "River" for French Horn and Piano will be performed, along with his composition "Mountain" by French Horn player Lisa Pike and pianist Elizabeth Rodgers at the Bloomingdale School of Music - 323 West 108th Street in Manhattan, New York City. The concert is free an open to the public. If you would like to listen to the computer sound generated sound file of "River" you may do so by clicking here. If you would like to listen to the computer sound generated sound file of River's companion piece "Mountain" you may do so by clicking here. Hope to see you at the concert on March 17th! Russo recently completed work on his Keeler Duo for viola and cello. This music will receive its world premiere at the Keeler Tavern Museum (132 Main Street, Ridgefield, Connecticut -- phone: 203 438 5485) at 3pm on Sunday, April 12, 2015. It will be performed by violist Sue Corey Sahlin and cellist Gunnar Sahlin. If you would like to listen to a computer generated sound file of this music you may do so by clicking here. Hope to see you at the first performance of this duo. When: Sunday, October 26th at 4:00 PM. Tickets: Suggested donation is $15 for adults, $30 per family, $10 for students and seniors, free ages 5 and under. Russo plans to attend this performance. New Work for French Horn and Piano -- "RIVER"
Russo recently completed work on a one movement tonal work called "RIVER" for French Horn and Piano. This music is a companion piece for "MOUNTAIN" which Russo composed last year. If you would like to hear the computer generated sound file of this music you may do so by clicking here. Russo recently completed work on his duo for Guitar and Pipa called "Polo Khan". This is a two movement tonal work running about 9 minutes. The world premiere of this music is schedule at the 2015 Long Island Guitar Festival (Harris Becker, director) in April of 2015. To listen to a computer generated sound file of this piece you may click here. To learn more about the upcoming premiere of this music in April 2015 you may click here. 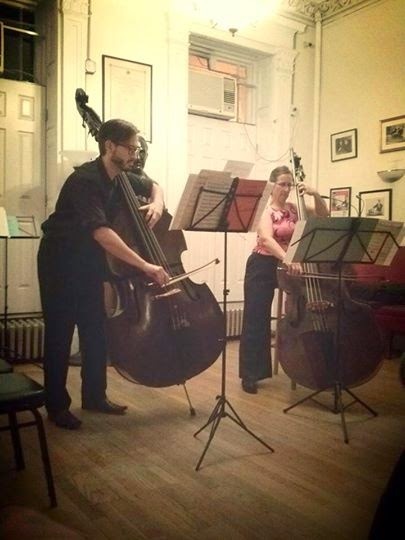 On Friday, May 30th bassist Deb Spohnheimer and bassist Matt Weber performed the world premiere of Russo's Bass Duo for two double basses. The work was included on a recital in the Great Hall of Marshalls Chess Club at 23 West 10th Street (5/6 Avenues). .....to listen to a computer generated sound file of the piece click here. Russo's Concert Fanfare for Eight Trumpets was included on a concert by the Montclair State University Trumpet Ensemble Cali Brass ensemble (Charles Bumcrot, director) at 4pm on May 11th at Saint Luke's Church in Montclair, New Jersey. The performers were Mike Bassett, Clayton Beyert, Joseph Christianson, Luke Finaldi, Daniel Mango, Daniel Minogue, Evan Weatherby and Mike Willensky. If you would like to listen to the computer generated sound file of this piece you may do so by clicking here. New Christmas Music Recorded! "Christmas Joy"
During the summer of 2013 Russo composed "Christmas Joy" -- a two movement work for flute and piano. The first movement is called "Birth" and the second "Joy". He composed the music for his good friends Celinda Anne Levno (flute) and Elizabeth Waln (piano)....the recorded CD is named "Christmas Joy" and includes other Christmas music. The recording engineer for the CD is John Levno. If you would like to listen to the two recorded movements of Russo's "Christmas Joy" you may do so by clicking here. If you would like to acquire the sheet music to Russo's "Christmas Joy" you may do so by contacting him directly (e-mail address is at the top of this blog). If you would like to acquire the complete CD of Christmas music you may do so by calling John and Celinda Levno at 480 855 0905. The playing is superb and the music is beautiful on this very special Christmas time CD. The March 20, 2013 world premiere performance of Russo's quintet "Mourning Mist" for guitar and string quartet has been reviewed by This Is Classical Guitar - Exploring Guitar Through Multimedia. You may read the article by clicking here. On Monday evening, July 29th Russo's quintet "Mourning Mist" for guitar and string quartet was given it first Canadian performance at the Midsummer Music Dream Music Festival south of Quebec. The performance was very successful and enjoyed by both the musicians (including, guitarist Harris Becker, violist Dale Stuckenbruck and cellist Maureen Hynes) and the appreciative audience. Russo attended the music festival and Monday night's performance. Russo's quintet "Mourning Mist" for guitar and string quartet will be given its Canadian premiere at 8pm on July 29, 2013 at the "A Midsummer Music Dream / Songe d’été en musique" festival south of Quebec, Canada. Guitarist Harris Becker will perform this work with the festival's resident string quartet. To learn more about the festival you may click here. Russo plans to attend this Canadian premiere performance of this music. To read about the participating performers of this Canadian music festival you may click here. A special highlight of this year's festival will be the Canadian premiere of "Mourning Mist for Guitar and String Quartet" by Joseph Russo on July 29. US Premiere of Trombone Quartet "Seasides"
On Tuesday, June 11, 2013 at 7:45pm in the Recital Hall of the Neighborhood Music School (NMS) in New Haven, Connecticut Russo's trombone quartet "Seasides" will be given its US premiere. The address of NMS is 100 Audubon St, New Haven, CT 06510. The program will also include works by Bach, Mendelssohn, Scheidt, Hornoff, R. Strauss, Puccini, and Ewald. The performers will be the Eastern Connecticut Symphony Orchestra Trombone Section, that being Terrence Fay, Mark Weaver, Victor Johnson and Wesley Mayhew. The title of the recital will be "Emotion of the Waves", This recital is free and open to the public. If you would like to listen to the computer generated sound file of this three movement work you may do so by clicking here. Russo recently completed work on a one movement double bass quartet -- which can also be performed by a large bass ensemble. 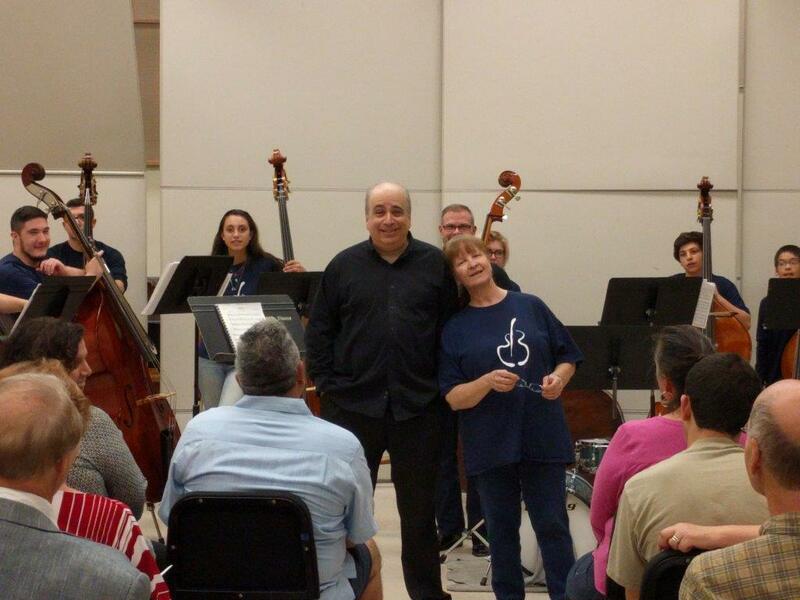 He created this piece for friend Susan Powell and her Hartt Community Division Student Bass Ensemble. Her bass ensemble will give the world premiere performance of Bass Quartet on Saturday, May 25, 2013 at Hartt College, Connecticut. If you would like to listen to a computer generated rendition of this music click here. If you would like to hear some basses in action, come to our great Bass Ensemble concert on Saturday, May 25 at 5:00 pm in Berkman Recital Hall. We will perform an eclectic mix of composers including the Turtles and Mahler. Plus we’re premiering a brand new work written for us by Connecticut composer, Joseph Russo! We will have some exciting, special guests joining us as well. Admission is free. 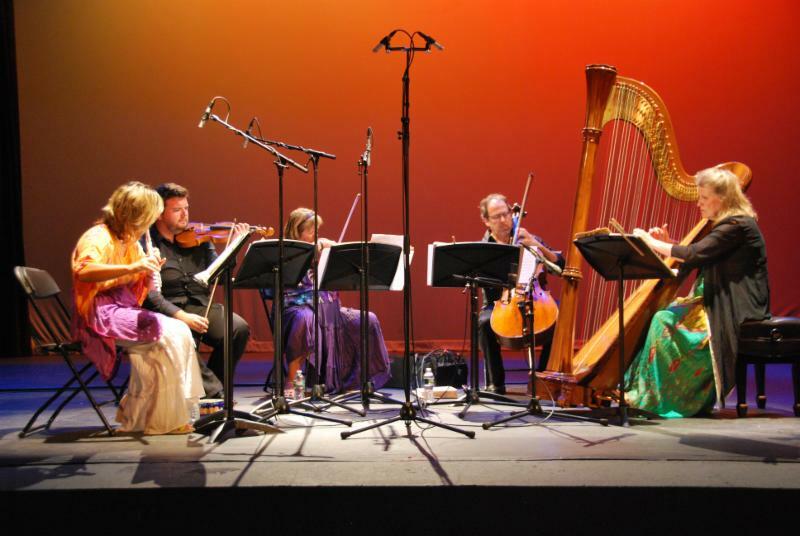 Russo's Septet "Distant Light" for flute, clarinet, harp and string quartet will be performed at Connetquot Library on Sunday, April 14th at 2pm. The concert location address is: 760 Ocean Avenue, Bohemia, NY. Phone number: 631 567-5079. The concert is free and open to the public. If you would like to listen to a recording of this piece click here. Orchestra New England gave a very successful world premiere performance of Russo's Second Symphony. The performance was given at Battell Chapel in New Haven on Saturday, March 23, 2013 with James Sinclair conducting.. Russo performed in the bass section for this performance. Both photos show Joseph Russo with conductor and long time friend James Sinclair after the first performance of Russo's Second Symphony. Successful World Premiere Performance of "Mourning Mist"
On Wednesday evening, March 20, 2013 members of the Guitar Festival at Long Island University (Harris Becker, director) gave a successful performance of Russo's quintet "Mourning Mist" for guitar and string quartet. To view the video of the performance click here. To listen to the sound file of the performance click here. The work is scheduled to be performed again at the Guitar Festival near Quebec, Canada this coming summer. Russo just completed work on "Dynamic Duo" for Two Cellos -- this one movement work has optional actions by both cellists -- the piece can be performed with or without the optional actions. This music was composed for Russo's good friends Carolyn Schwartz Engle and Thomas Hudson. If you would like to hear a computer generated sound file (without actions) of this piece you may do so by clicking here. Russo's quintet "Mourning Mist" for guitar and string quartet will be given its world premiere performance at the Long Island Guitar Festival at Long Island University (in Brookville, Long Island, NY) in March 2013 -- at 8pm on Wednesday, March 20th. 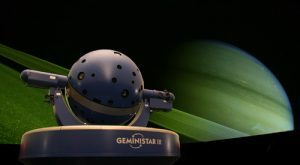 You may find out more about this event by clicking here. You may listen to a computer generated sound file of this one movement tonal work by clicking here. 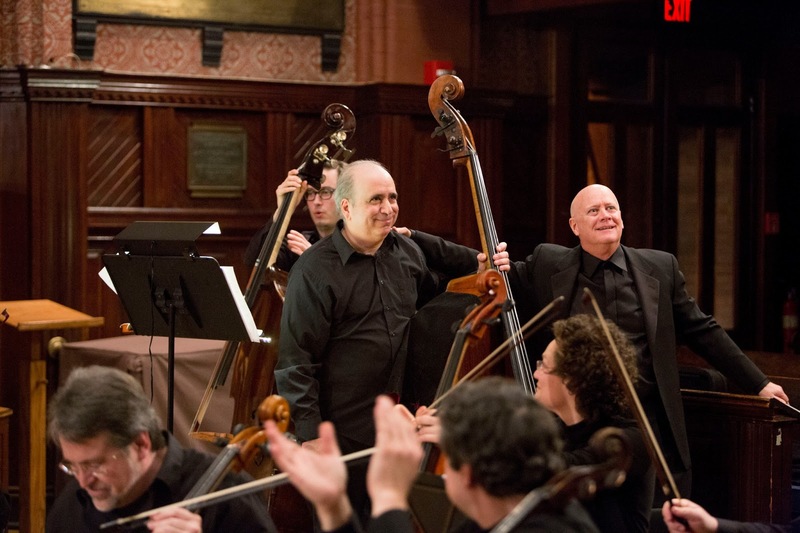 On Saturday, March 23, 2013 Orchestra New England will give the world premiere performance of Russo's Second Symphony at Battell Chapel in New Haven, Connecticut. This is a tonal work in four movements. More information about this Orchestra New England concert can be seen by clicking here. If you would like to listen to the computer generated sound files of the four movements of this symphony you may do so by clicking here. Russo recently completed work on his new music for flute and piano: West Fork. It is a one movement tonal work inspired by his hike at West Fork (near Sedona, Arizona) with his friend John Levno. 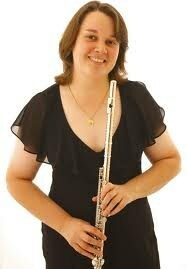 Russo composed the work for John and his wife (and superb flutist) Celinda Anne. If you would like to hear a computer generated rendition of the piece you may do so by clicking here. Russo has recently completed composing "Mountain" for French Horn and Piano -- he created this tonal one movement work for his friend and excellent French Horn player Lisa Pike. If you would like to hear a computer generated sound file of this music please click here. Thursday September 27, 2012 12:30pm Shea Auditorium. The location is called Shea Center for Performing Arts. Other works on the program: by Amram, Schickele, Ewazen. I heard your disc with orchestral works and I am very impressed. Your music is very beautiful and has his own atmosphere with elegiac character and nostalgic, regret feeling for the lost harmony.A remembrance of persons and places of passed times.In slow, meditative portions and lyric moments of your music you are in the tradition of great American poetry of E.Dickinson and H.Longfellow and in the same time you show a very great talent for melody line in the fast tempi. I want to have chance to conduct your music one day. Joseph Russo's music is lyrical. Its harmonies have a lovely flowing narrative. I applaud him for writing music that has depth, imagination and is so pleasing to the sophisticated ear! On Thursday, October 20 the Northeastern Illinois University String Orchestra gave a very successful and well received performance of Russo's "In Memoriam" 9-11 for Strings -- Brian Groner, conductor. Russo has composed his 2nd Symphony. This tonal four (4) movement work is score for 2 flutes, 2 oboes, 2 clarinets, 2 bassoons, 2 French horns, 2 trumpets, 2 trombones, 1 timpani (also playing triangle) and strings. The four movements run approximately 34 minutes total. If you would like to hear the computer generated sound files of the four movements you may click here. The work may be scheduled for its world premiere sometime in the spring of 2012 or during the 2012-2013 season -- the orchestra to premiere the work has yet to be chosen. 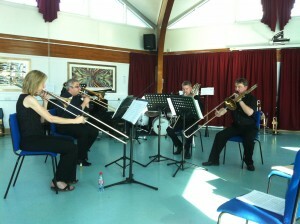 On Saturday, October 1, 2011 Russo's three movement trombone quartet "Seasides" was given its world premiere in Beverley UK (in Yorkshire) by trombonist Jim Stretton's newly formed trombone quartet called "A Bit On The Slide". To read the review of that performance you may click here. Sometime soon a live recording of this trombone quartet will be posted here as well -- check back soon! Russo completed work on the three movements (Seaside 1, Seaside 2 and Seaside 3) of Seasides for Trombone Quartet. This music is scored for three (3) tenor trombones and one (1) bass trombone with an optional alto trombone part which would replace the Tenor 1 part. You may hear computer generated performances of these movements by clicking here..
Russo has just completed work on his Bass Duo. This is a one movement (in 3 sections) tonal work for two double basses running about 8 1/2 minutes. The work was composed at the request of Matt Weber (Juilliard) and Matt Rosenthal (NYU), two former bass students of Joe's. You may hear a computer generated version of the piece by clicking here. On Friday, October 8, 2010 Russo's Fanfare for Eight Trumpets was given its world premiere performance by The John J. Cali School of Music Trumpet Ensemble, Charles Bumcrot, director, from Montclair State University, Montclair, NJ to open the 2010 Kaleidoscope Concert (an annual showcase of students and faculty of the Cali School). This first performance was at the Kasser Theatre (on the campus) on Oct 8, 2010 at 7:30pm. It was conducted by Donald Batchelder. "...a wonderful work and a very interesting fanfare. Not only everything you'd expect and need in a fanfare, but interesting melodic lines and material, combined with very successful antiphonal qualities. We will perform this work over and over again!!" "This music can be used antiphonally...and it works non-antiphonally. This is very playable on standard instruments, either Bb or C and does not require piccs, flugels, etc. A very majestic opening with a very lyrical, yet "ringing" Allegro." The performers for this world premiere were: Mike Bassett, Rachel Candee, Lynn Chao, Elizabeth Epstein, Rene Hammler, Harry Hipwell, Chris Johnson, Bryan Stepneski, Bowen Walsh, Sage Walsh. Russo just completed work on his new Concert Fanfare for Eight Trumpets. This antiphonal tonal one movement 5:50 minute work was composed for Joe's friend Chuck Bumcrot and his NJ college trumpet students. To hear a computer rendition of this music click here. You may also hear the computer rendition of Russo's Fanfare for Eight Trumpets -- this is a shortened version (3:15 minutes) of his Concert Fanfare.... click here to hear this Fanfare. Russo recently completed his Three Changes for Septet - these are three (3) movements in a tonal and somewhat jazzy style. The instrumentation is: clarinet, bassoon, trumpet, trombone, percussion, violin and bass -- the same instrumentation as Stravinsky's "The Soldier's Tale". To hear the computer generated sound files of these three movements click here. 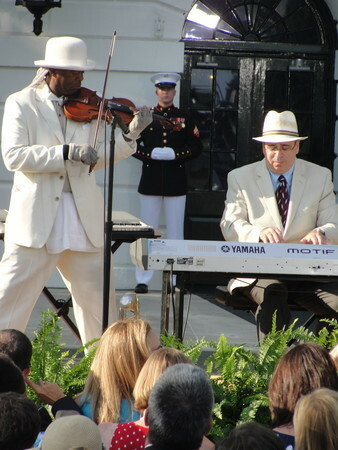 On Monday, July 26 Russo and his long time Juilliard friend, Nathaniel Ayers ("The Soloist") performed together for the White House celebration of the anniversary of ADA (Amercians with Disabilities Act). Joe accompanied Nathaniel who played violin and trumpet. Both were given the opportunity to shake President Obama's hand! Nathaniel's comment to the President: "I wish you a blessed Presidency". An important event and a very successful performance. To read author "The Soloist" and journalist Steve Lopez's LA Times article about the event you may click on the appropriate link under "Pages" in the left column of this page. If you would like to view an actual portion of the performance of Ayers and Russo click here.